Arudra Darshan or Arudra Darisanam, the day of the sight of Siva, is a scene of festivity dedicated to Lord Shiva in the Tamil almanac and it celebrates the cosmic dance of Lord Shiva as Nataraja. The Ananda Tandavam of Shiva is said to symbolize the five divine acts (“Pancha Krityas”) Creation, Protection, Dissolution, Embodiment and Bestowment of grace. In essence, it symbolizes the continuous cycle of creation and destruction. This cosmic dance takes place in every particle and is the source of the entire energy. The movement of Lord Shiva is Shakti. Hence, Arudra Darshan is celebrated in appreciation of the cosmic dance of Lord Shiva. The dance of Shiva has been frozen in metal and held in worship in all the power spots dedicated to Lord Shiva across Southern India. The pre-dawn hours of the full moon night, in the month with the longest nights in the year (The Tamil month of Margazhi) marks the auspicious time for Arudra Darisanam with great fervor and gaiety. Abhishekams are offered to Lord Nataraja and his consort Goddess Sivakami, followed by Lord’s procession. The rituals are held in the pre-dawn hours, when the moon is still shining brightly and several ceremonies are performed amid the holy chants in Sanskrit and Tamil. Prayers and rituals are performed to Lord Shiva on this great fiesta to wipe away your karmic slate. It also helps to forgive the sins like diseases, competitors and enemies, poverty thoughts, negative thoughts about yourself or others, insensitivity and close mindedness and doubt and lack of faith in the Divine. 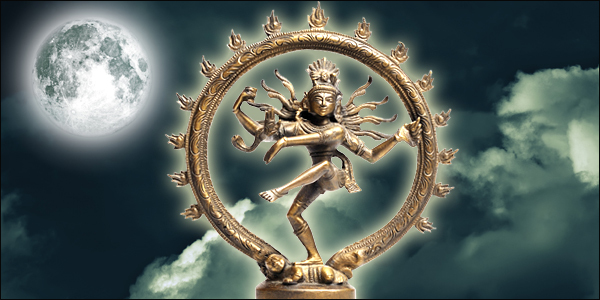 This year’s Arudra Darshan – appreciation of the cosmic dance of Lord Shiva, falls on December 22nd. Perform the rituals and get free from all your karmic state that has depleted your life. If you are looking to celebrate this auspicious occasion with special Archanas, Homas to Lord Nataraja and his consort Sivakami, Astroved is pleased to help you to wipe away your karmic state and to bring prosperity in life. We, At Astroved have special Archanas, Homas, Mantra writing and Nataraja statue – the cosmic dance of Lord Shiva that helps you to wipe your karmic state. The prayers and rituals are performed amid the holy chants in Sanskrit and Tamil that will help you to begin life anew. Experience the new life with Astroved!